Priced at around $500, the Steez 7.1 Ultra-Light Speed leads the way. This cutting edge device is equipped with the top reel technology available. Feather light, at only 5.6 ounces, it won’t weigh down your rod or your arm. It is the lightest reel in its class. 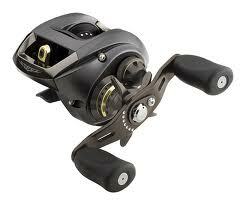 Fatigue is lessened, and reel speed is increased. Inside the Steez 7.1 Ultra-High Speed, Diawa integrated the quality of the TD-Z reel rotor with a newly mechanized spool at the core. The result is a more balanced and consistent line tension with an ultra fast gear ratio. This entry was posted on Monday, September 5th, 2011 at 9:59 am	and is filed under baitcasting reel, Baitcasting Reels, Fishing Reels, Tips. You can follow any responses to this entry through the RSS 2.0 feed. You can skip to the end and leave a response. Pinging is currently not allowed.